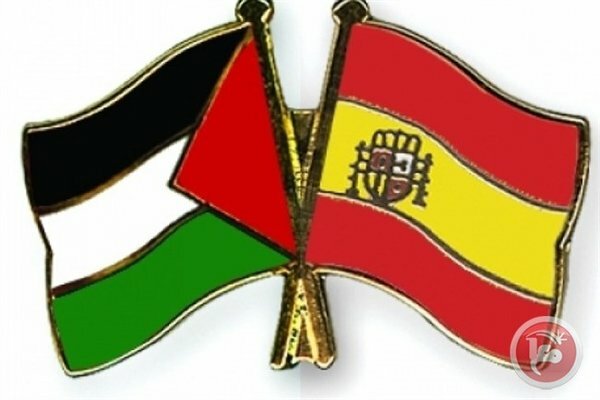 BETHLEHEM (Ma’an) — Spain has become the latest country to voice its readiness to recognize the State of Palestine and that it will promote a European Union (EU) move to recognize Palestine as an independent state. Spain’s Minister of Foreign Affairs, Josep Borrell, spoke at a conference of EU leaders in Austria, saying that the Spanish government will promote an EU move to recognize Palestine. Borrell confirmed that he will initiate an “intensive” consultation process to set a timetable for achieving a common position on the given subject, as EU policy is unclear concerning unilateral recognition. The Palestinian Authority (PA) said that there are 139 countries that have recognized Palestine.